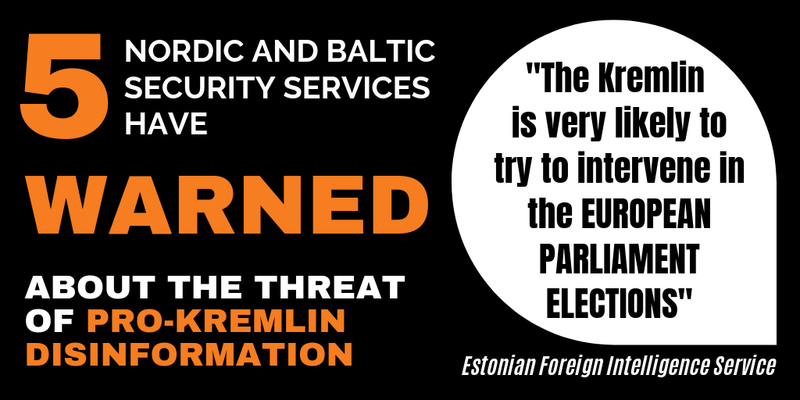 This last week we have seen a near perfect example of how disinformation can spread. 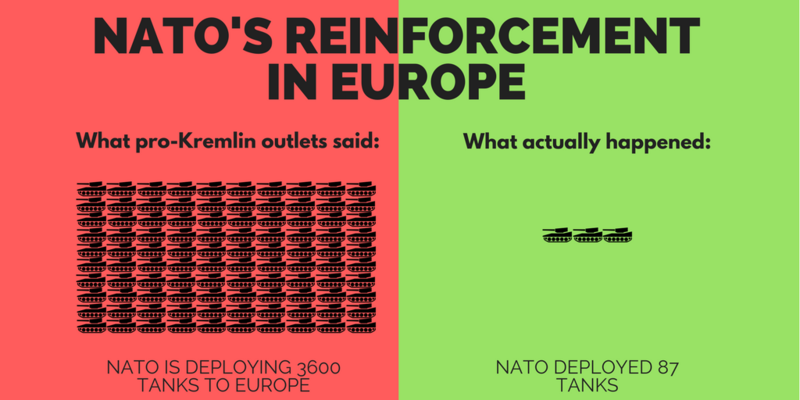 The story about NATO’s reenforcement in Europe has an element of truth mixed up with false information, all to fit into the often repeated pro-Kremlin narrative that NATO is the aggressor encircling Russia. As reported and thoroughly investigated by Ben Nimmo of the Atlantic Council’s Digital Forensic Research Lab (@DFRLab), the fake part of this story started with a small website in Donetsk claiming that NATO is preparing for a war with Russia by deploying 3,600 tanks in Europe. This disinformation was then spread to a number of the usual suspects (Global Research, David Icke, RIA Novosti etc), but even more worryingly these false numbers also made their way into mainstream media such as the Independent and Swedish Radio (the latter has corrected its mistake in the meantime). In those articles, the overall narrative is not repeated but the numbers were indeed wrongly cited. Well, U.S troops have indeed arrived in Europe as part of a NATO reinforcement with the aim to boost inter-operability and combat readiness, so as to be able to quickly respond to renewed threats following Russia’s 2014 annexation of Crimea and Moscow’s hybrid warfare in eastern Ukraine. But in fact, the reinforcement includes 87 tanks. 87. It is a long way from 3,600, or 2,800, or simply “thousands”, which are the numbers that have been figuring in the various media disinforming about this story. To compare, the total US tank force is 8,848. If the DNI story had been true, it would have meant that 40% of the US’s main battle tanks had come to Europe at once. In the mapping made by the Atlantic DFRLab, you can see in detail how the story spread in several different languages through a wide network of conspiracy sites, blogs, seemingly marginal websites, established official Russian news channels – and then even to some solid Western media over the course of a few days. 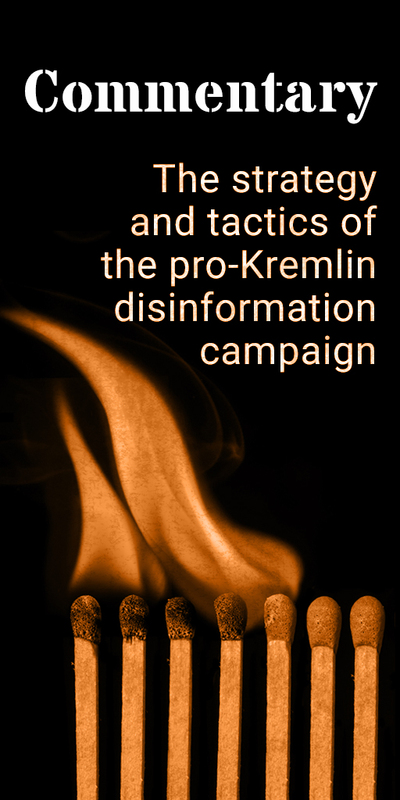 It shows us that pro-Kremlin disinformation has multiple channels and uses an orchestrated network of seemingly independent sources “confirming” each other, as described in a useful study by RAND – and how a disinformation is planted and amplified in such a way that it can move to mainstream outlets.